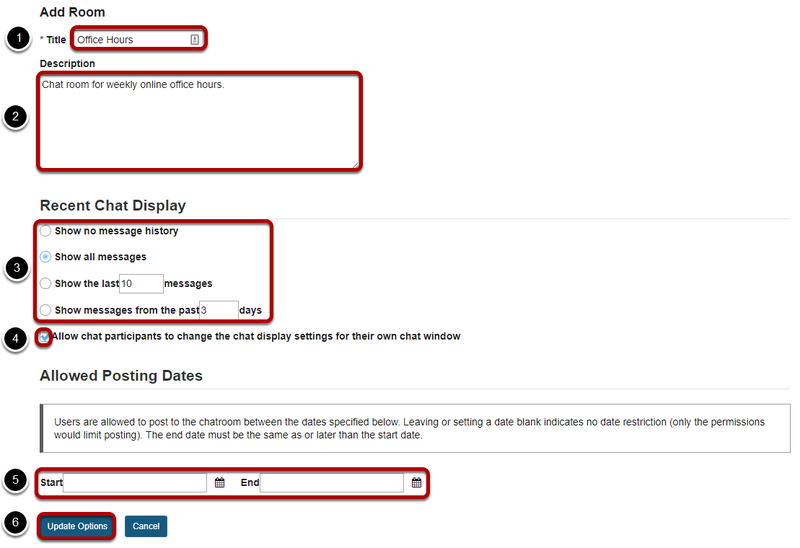 Sakai Community DocumentationSakai 19 User Guide (English) ChatHow do I add a chat room? Select the Chat Room tool from the Tool Menu of your site. A title is required for the new room. Select the number of messages you would like to be displayed in the message history. Click the Update Options button to save your details and add the room. The new chat room will display in the list. Prev: What is the Chat Room tool? Next: How do I delete a chat room?